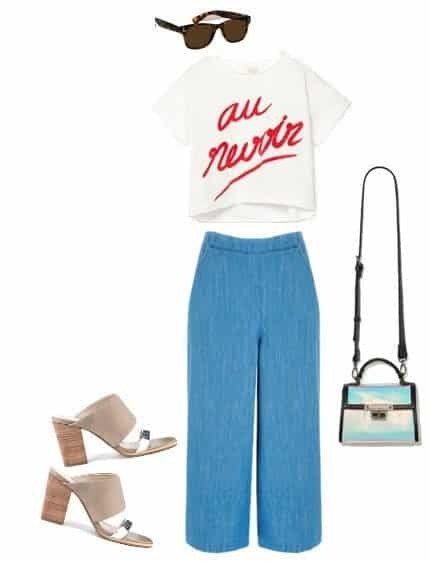 Culottes Outfits Ideas: Trousers are a favourite trend among women. One that can never go away. Since the middle ages men have been wearing trousers and sometime in between the centuries women adopted the trend and started wearing these and named them culottes. Culottes have made a comeback into the fashion world, why? because they are super stylish and comfy. They are ideal to be worn in the warm weather as they don’t have many layers and are loose and airy. but they are quite tricky to wear. For more formal occasions they are an ideal choice to be worn with cropped tops or small leather jackets. Following are some ideas that you can incorporate into your wardrobe. Block heels are very fashionable and look very nice if worn with blue culottes and a white graphic shirt. Chiffon is a very good material and gives a very flattering look to the wearer. Plain pink culotte with a white polka dot shirt is an awesome summer outfit. Wear it with gray pumps and a long chain statement bag. Let your hair loose and just wear a bracelet as an accessory. Very casual to wear and for casual affairs it is a perfect floral print piece. Match it up with a black top and tie up your hair and wear embroidered moccasins. A black clutch and glasses should be your only accessory. #20. Fab Combo for Office – Yellow sweater and a yellow top is all you need to to perk up your day. To keep it a little subtle combine with gray culottes. Although we don’t recommend culottes to chubby girls as they can make you look fat but styling them beautifully as is shown here can be advantageous. A sleeveless halter top with brown pants is looking a stunning combo with these sandals. Tie up your hair in a tight pony tail to have a slimmer and slick look. Near the waters and into a beach party? This is a great outfit to wear to a friends party. Navy blue stripped shirt when paired with black pants and beige heels it is sure to make you stand out among the crowd. An all white ensemble is every woman’s dream and what could be better when worn with culottes. Put on a statement necklace and tie your hair in a top bun. Into sports and athletics? 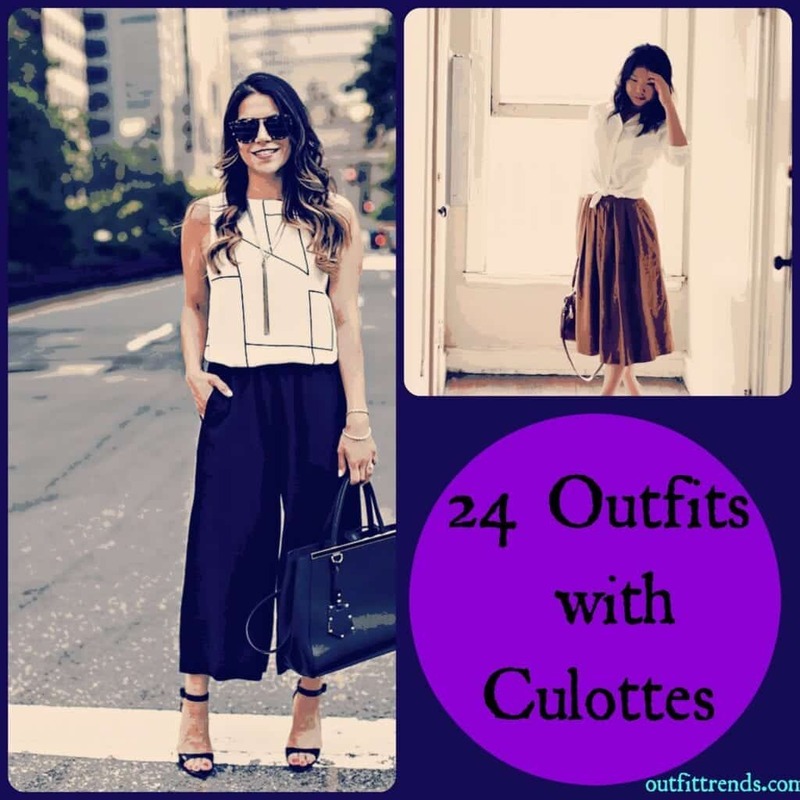 Culottes can take you a long way. Canvas shoes combined with a regular shirt and black pants is the right choice.